Are you working on a networking project where you created TCP/UDP packets from scratch but don't know how to find checksum of from pseudo TCP packets? well, friend, you come to the right place. here, I am going to share with you the actual binary concept to calculate the checksum of pseudo TCP packets. Before starting this tutorial, I want to highlight that for this tutorial you need basic information of binary number operations. Now, let's focus on theory again. first, we have to divide and slice binary data into 16 bits pieces. After slicing in 16-bit pieces, we have to do find out the binary addition of all sliced pieces. After getting the binary sum of 16-bit pieces, there is one more small trick before one's complement of the binary sum. actually, we just need to take a 4-bit number from starting point of binary number and then add it again with the main binary sum. At last, calculate one's complement of the binary sum. done! I hope now you got the basic concept of TCP Packet CheckSum. Let assume that We have 4 bytes of pseudo header data (32-bits). Divide binary Number Into 16-bit pieces. Calculate the sum of all sliced pieces of binary numbers. Add 4-bits of binary number into the calculated binary number. here, these 4 bits are nothing other than starting 4 digits of the same calculated binary number. Find One's Complement. (Just Change All 0's Into 1's). Done! That One's Complemented binary number is our checksum. 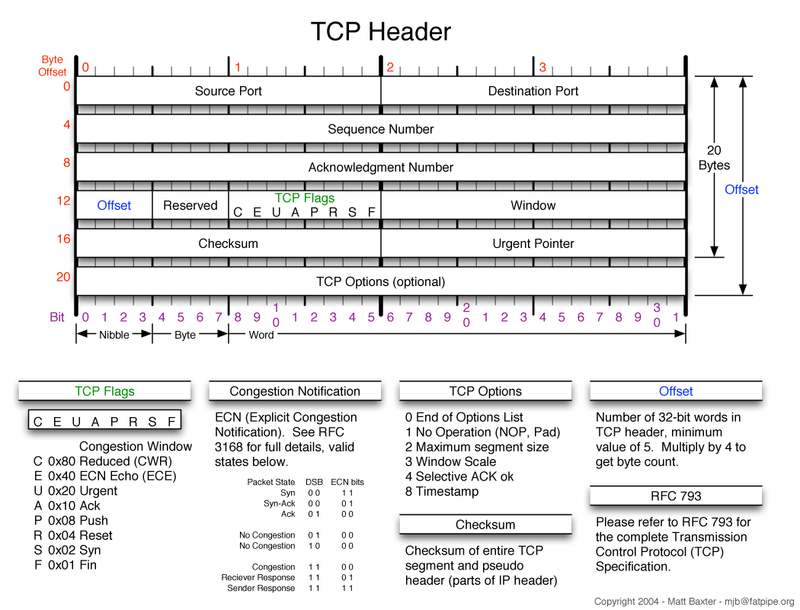 hence, with this method, you can easily find the correct checksum of any TCP/UDP packets. if you have any suggestion or query.